Changing the oil in your vehicle is a rather simple task, but it is also one of the most important. Click here for other important maintenance tips. Failure to change oil at correct intervals can result in engine damage. Read on to learn the basics of changing the oil in your vehicle. Lift car - This is done using jacks or ramps. Once the car has been lifted, be sure to brace it, as working under a car that is only held up by a jack can be very dangerous. Idle the car for a few minutes - This heats up the oil, and mixes up any impurities that have settled to the bottom of the crankcase, allowing them to be drained with the oil. Turn car off before proceeding to next steps. Open hood and remove oil cap - This allows for air release, so the oil will be able to drain better out the bottom. Find Oil Pan - This will be located at the bottom of your car's engine. If you don't know where it is, or cannot find it, try consulting the owner's manual or doing a web search for "[Your Car Model] Oil Pan Location." Get container ready to catch oil - This container must be able to hold a few liters of liquid. It is also a good idea to lay some newspapers down around the container, in case any oil misses the container. Remove oil plug - Oil will start to come out as soon as you have removed the plug. It will take several minutes to drain all the oil from the engine. Re-install oil plug when complete - If not done, your new oil will all leak out in a matter of minutes. Find oil filter - This will vary depending on car model. For reference you can look at the new oil filter you purchased, and also consult owners manual, or do a web search related to the oil filter for your specific vehicle. Unscrew old oil filter - Be sure that the rubber gasket comes off with the old one, since you will need it for the new filter. Prepare new filter - Refer to the instructions provided with the new oil filter you purchased. Install new filter - Do not over tighten. Refer to instructions provided to learn how much you should tighten. Be sure you re-installed the oil plug at the bottom of the engine. Pour new oil into the oil cap located under the hood in your engine. Start Engine once all oil has been added. Reset oil change light if applicable to your vehicle. Used motor oil cannot be thrown out via the traditional method, or poured down the sink. Place used oil into a seal-able container, and then locate your nearest disposable site, and dispose of oil accordingly. 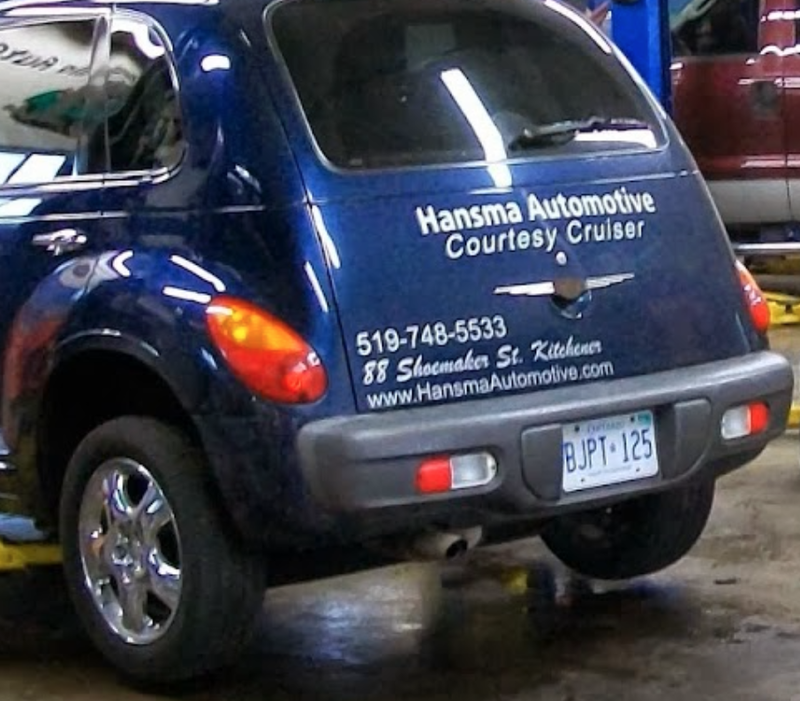 If the above process seems to complicated, or you would rather have your oil changed by a professional, take your vehicle into Hansma Automotive today. Our team of experts specializes in all areas of vehicle repair, maintenance, and even vehicle detailing. Contact us today! Posted on June 4, 2014 by Hansma Automotive..